This collection of unique wall-hanging planters incorporates graphic brass shapes with the organic forms of Light + Ladder's ceramic Spora planters. With the addition of lush greenery the planters are a lively, light, and elegant addition to any wall. Fixtures are solid brass and planters are made of stoneware with a clear-glazed interior. 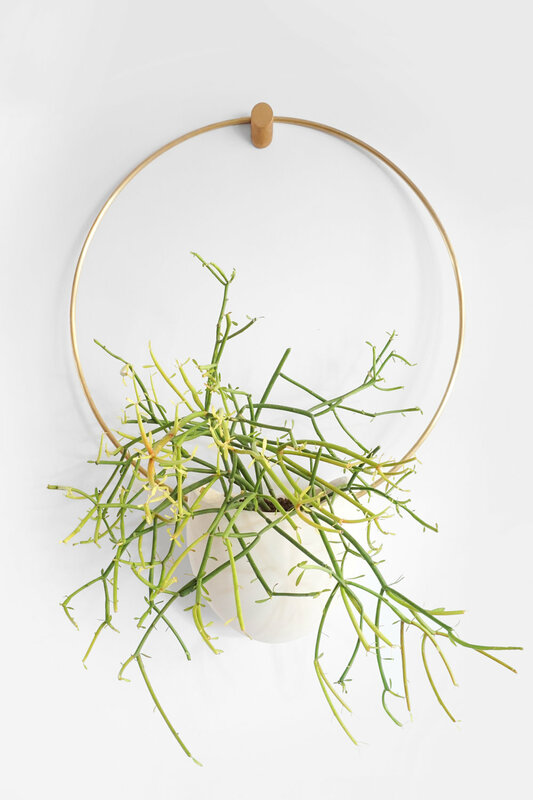 Hang the planters from a standard nail or choose between our special brass and wood hooks to complete the look! Please visit Light + Ladder for more info.